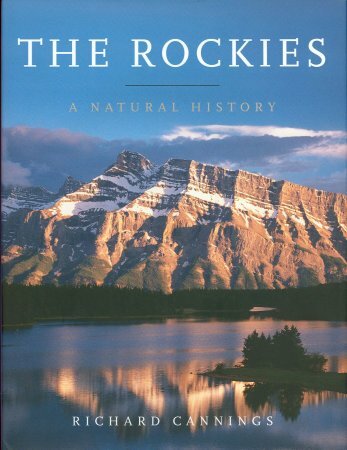 Comprehensive, detailed, and scientifically up to date, The Rockies: A Natural History is the most complete natural history of the full mountain range. Extending from northern British Columbia to the Mexican border, the Rocky Mountains are familiar to everyone in North America. Yet few people appreciate the true diversity of these mountains, which rise from hot, dusty plains to icy alpine tundra and form a 2800-kilometer (1700-mile) wall that links the cold forests of Canada to the deserts of New Mexico. The book covers the Rockies from north to south, from sagebrush flats to windswept peaks, and from their beginnings below the surface of ancient seas to their uncertain future. The book begins with an introduction to the Rocky Mountains, how they are related to the other mountains of the western cordillera and how they create a myriad of ecosystems within their diverse topography and climate. Early chapters describe the geological formation of the mountains and explain the important role they play in shaping the environment of western North America. Later chapters look at the various ecosystems within the Rockies and tell the fascinating stories of the plants and animals that form these ecosystems. The final chapter illuminates the relationship between human beings and the Rockies, from the arrival of the indigenous peoples to the onslaught of tourists and environmental concerns. Written in a lively, engaging style, the text is augmented by spectacular full-color photographs and elegant black-and-white line drawings. In addition, sidebars highlight species of particular interest and other topics. Both authoritative and accessible, The Rockies: A Natural History is a must for anyone who wants to know more about the splendor and diversity of these stunning mountains.